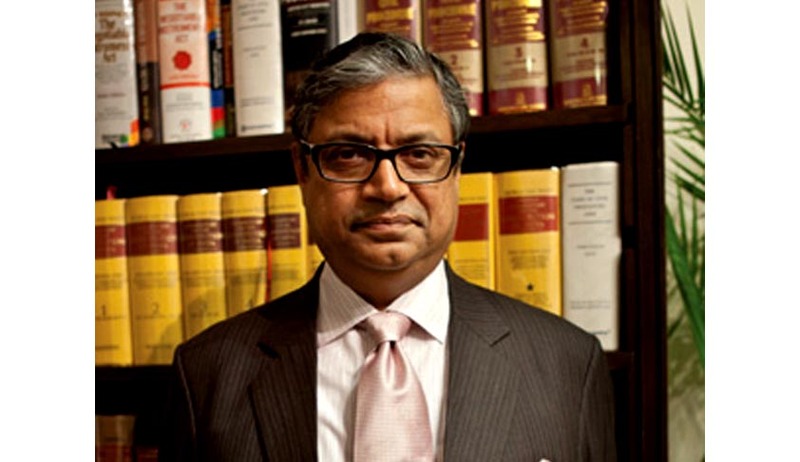 The Government has reportedly turned down the appointment of Gopal Subramanium as a Supreme Court judge, while clearing the names of senior advocate Rohinton Nariman and the Chief Justices of the Calcutta and Orissa High Courts, Arun Mishra and Adarsh Kumar Goel. The name of the former Solicitor General of India has been sent back to the Supreme Court collegium headed by Chief Justice of India, R.M. Lodha for reconsideration. The other three names have been approved by the Law Ministry and the Prime Minister’s Office and sent to the Rashtrapati Bhavan. The President’s approval is expected within a week. In an unprecedented decision last month, the collegium had suggested names of two previous solicitors general, Gopal Subramanium and RF Nariman, to the government for appointment as judges of the Supreme Court. Although the Constitution of India provides for appointment through three categories of persons, namely high court judges, lawyers and academics, the Supreme Court judges in India are seldom appointed from members of the bar. Usually, a former Chief Justice of a High Court is elevated to the position of a SC judge. The appointment of judges to the Supreme Court and the High Court is provided under Article 124(2) and Article 217(1) of the Constitution of India, 1950. Under these provisions, the President of India is required to “consult” with the Chief Justice of India and in case of High Court appointments, to consult the Governor and the Chief Justice of the respective High Court. The Supreme Court in the case of Supreme Court Advocates-on-Record Association v. Union of India construed the word “consultation” to be equal to “concurrence”. The Advisory Opinion of the Supreme Court in 1998 laid down the process of appointment, whereby the judiciary through its “collegiums” consisting of the Chief Justice and two or four senior judges, would propose names to the President, who then is bound by the decision of the Collegium. This procedure of appointment in effect, confers upon the judiciary the power to appoint judges of the higher courts. Hence, if the collegiums resends Subramanium’s name for the post, the ministry will be bound to approve it. 56 year old Subramanium is known for his mild manners. He has functioned as Amicus Curiae in several cases, charging more than Rs.5-lakhs per appearance as a Senior Supreme Court Advocate. Subramanium was an Additional Solicitor General from 2005 to 2009 and later Solicitor General up to 2011. He was also chairman of Bar Council of India for 2010-11. He was lead counsel for CBI in the 26/11 Mumbai terror attack case that led to Kasab’s conviction. He also represented the CBI in the 1993 Mumbai serial blasts case and was prosecution counsel in the Parliament terror attack case.